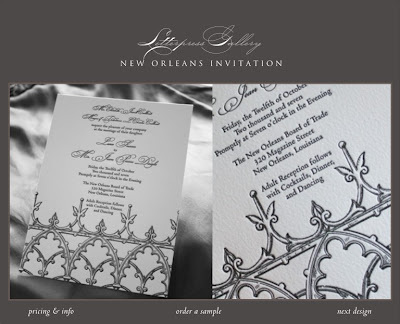 My plan was to design my own invitations and have them letterpressed by Superior Letterpress. Unfortunately, I don't have a design bone in my body. 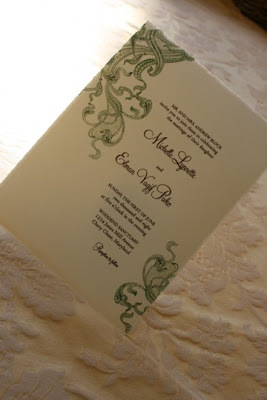 This is a great option for couples on a budget that crave letterpress. After weeks of agonizing, I decided to purchase them. 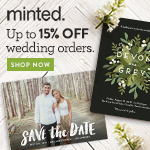 When I was started looking around, I thought, well, there is really only one wedding vendor website that makes me want to buy everything-- White Aisle. My fiance liked many of the styles. We ordered a few samples. 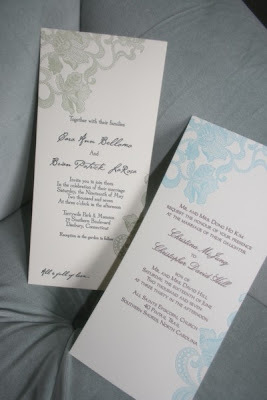 Rebecca has a great policy that the money for the same can go towards the purchase of your invitations. What do you think of the styles? I love them all so it is really hard for me to pick. 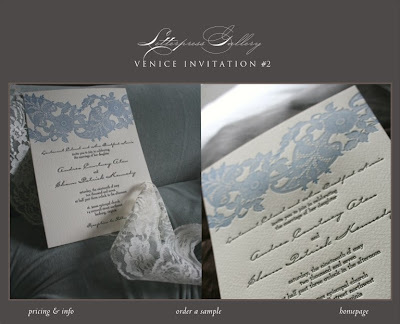 Each invitation can be customized in several ways. 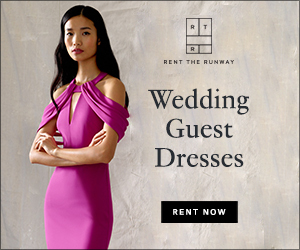 The color is picked based on a Pantone color to ensure that you are getting exactly what you want! 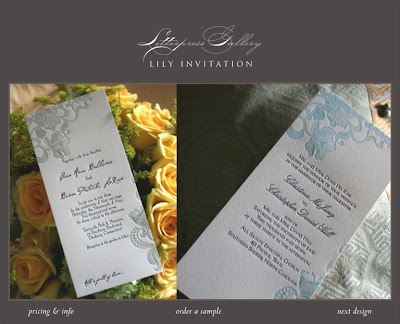 The invitations come in one or two colors. 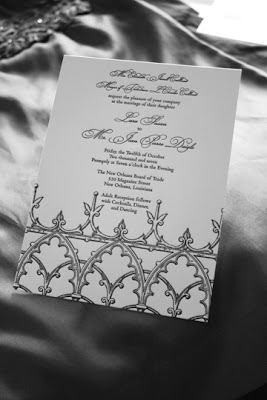 She has a list of fonts that are available too. 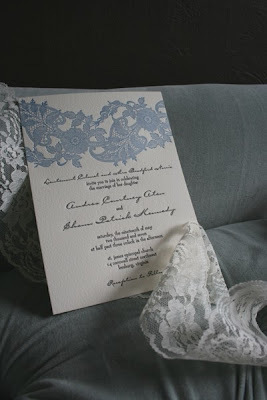 I love White Aisle... you could go with any of these- they are all beautiful. I really like the top one though.